We are thought leaders and established practioners who thoroughly understand the local space. Our dedicated team of people have helped over 100,000 Local Businesses get found. Our #1 performance priority is helping our clients get to the top of the local search results. A new era of digital marketing where you don't just get award-winning strategies, but also groundbreaking technology. Find out if a website is mobile optimized by entering the domain name into our Testing Tool. Duplicate business listings in search results confuses potential customers. 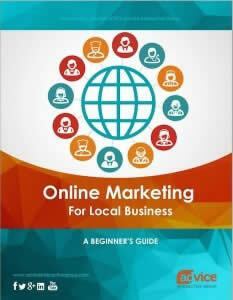 Dominate Google and the local business directories in one easy-to-use, all-inclusive tool. It’s a three-peat! With your help we made the Inc. 500 list of Fast Growing Companies for the 3rd year in a row, a rare feat. We’re immensely proud of everyone who made this possible, from our internal team to our clients and partners. Advice Interactive loves helping local businesses. We look forward to another year of growth. Advice Interactive Group is not just a Dallas SEO and web design company. We are an award-winning digital marketing and local search technologies agency with headquarters in Dallas, Texas. Our team of local Internet marketing professionals has the expertise to understand your business and provide a proprietary and customized Internet marketing strategy aimed at meeting your goals. Whether you are a global, national, local or Nationally Local ™ niche business, Advice Interactive Group offers unique and creative local search solutions designed around your needs to help you grow your business. We don’t just offer Advice—we offer solutions. We are experienced search engine optimization (SEO) and Internet marketing professionals that know what we’re doing. We work with local, regional, national, and worldwide organizations. Whether your business is an online business, an offline brick and mortar business, or a combination of both, we have a custom-tailored marketing solution for you. With a wide variety of choices for your business, we’re the perfect fit. Check out our Internet marketing services today or contact us now for a free quote. With locations in Dallas and Newport Beach, Advice is uniquely positioned to provide services to both national and local markets, delivering exceptional results to all of our clients. Contact our Internet marketing professionals to learn more about Advice: 877-692-7250.